Discussion in 'OT (OFF Topic) Forums' started by Deleted96908, Aug 19, 2018. When I was a lad there was a metallic burgundy VX490 parked on my walk to school. We lived in one of the less celebrious parts of Portsmouth, so seeing something with a shiny grill and what looked like million dollar wheels, was a real treat. Then when I left home at 17 to share a flat with my sister, her BF (MD @ Marconi) had a white Vauxhall Victor. It was the dogs to a lad brought up on Heralds and 1100s and assorted scrap heap wannabes. Even Vivas seems better than Fords, Mexicos, 1600Es and Lotus Cortinas apart. Then when the first Cavaliers came out they seemed like seriously good cars. I remember renting one on a leave back in the UK and it had all the toys. Great shape too and not blighted by the jellly mould styling that afflicted later models. And then there was the SRi and GSi and of course, the Lotus Carlton and latterly the quite decent Omegas. But since then? Are Vauxhalls these days as rubbish as my prejudice suggests they should be? I read in AutoCar that a new era of bold styling is on the way, coupled to a new grille. Enough to turn their fortunes around or does the brand need a complete overhaul and perhaps a name change too? Opel sounds a lot cooler after all. Before they gave way to the Vauxhall Carlton, the last of the FE Victors were badged as either a VX1800 or VX2300 depending on their engine size. When I was in the 6th form the token rich kid, who's Dad owned a company of some sort, was given a VX2300 which was a cast-off company car from the family business. He'd only just passed his test and was a terrible driver (I think he wrote it off in the end) but he could be persuaded to let us take it to the car park behind the swimming pool during free periods for wheel spin practice. I've liked plenty of Vauxhalls over the years. They've always been a little bit crappy as in I've had to replace dopey bits going wrong etc. but on the whole have been reliable. First car was an Opel Manta GTE (so a MK1 Vauxhall Cavalier), third and fourth were a pair of Astra 16V GTEs. Then bought a Carlton as a cheap runaround and that was a fantastic car. Amazing reliability and cheap as chips to run. Like driving a pair of cloth armchairs around. Always liked Senators, Omegas and of course the Lotus Carlton as you state. Did quite like the facelift MK1 Vectra as well (1999 > 2002). Even like the sportier Insignias actually. However, I know of a young lass who used to "do" 'er indoors' finger nails and she bought a recent Astra GTC of a few years ago which was an ex-demonstrator but on condition they gave it the same warranty as the new ones (100,000 miles or 5 years I think it was). It got through 4 gearboxes at early 90K mileage but the last two times, she had a hell of a fight to get them to replace it under warranty. So the agro and not to mention the build quality is perhaps still crappy! I would only buy one as a cheap runaround now although that's been the case since my last 16Ver!. I assume the warranty was for five years or 100K miles, whichever came sooner. If so, she must have been wrecking gearboxes at not much more than 20K miles each. I'm inclined to suspect her driving was the problem, not the gearboxes. 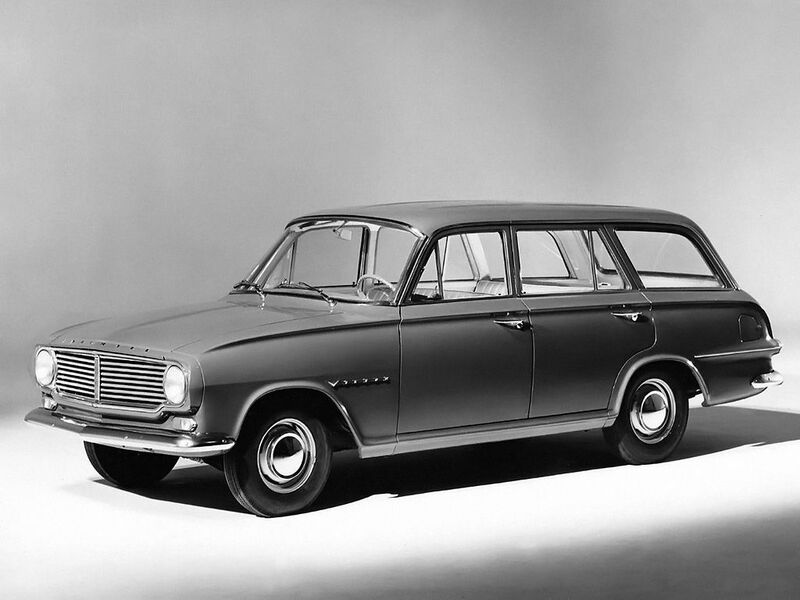 In the 70's, 1960's Vauxhalls were the rustiest motors around. Cresta, VX 4/90 etc. The AA Drive magazine, excellent for nostalgia. Taxonomy flaw? As I owned load of Fiestas and Escorts in the 80's. grober and Deleted96908 like this. My first part time job was at a dog kennels business in the early to mid 1970’s. the boss there had a VX490. There was also a vw transporter there for dog food sales. Even though I wasn’t old enough to drive I got to move these around the yard. The vw had one of those long cranked gear sticks and was awful to drive. Th VX490 was the dogs nuts by comparison to my fathers Wolseley 1500 at the time. I really liked Vauxhalls which started by passing the Irmscher showroom as a lad in the 1980s. I had a few, a Vauxhall Nova 1.3 SR being my first, followed by a Vauxhall Corsa SRi 16v. The last two were a 1999 Vauxhall Omega 2.5 CD (hers) and a 2001 Vauxhall Astra [G] Coupe Turbo (his), both great cars, but we turned to Mercedes when we didn’t like the Signum, and never went back. Even now Vauxhalls from the 1970s, 80s and 90s really appeal, but they went off the boil for me as the century turned. Firenza Droopsnoot, Chevette HSV and Lotus Carlton spring to mind as the greats for me. a111r and Deleted96908 like this. Ah yes, forgot about the Firenza/Droopsnoot and Magnum. But amongst us all, lots of nostalgia, not so much enthusiasm for current Vauxhalls it seems. The Ford - Vauxhall rivalry reminds me of SAAB - Volvo in Sweden. Where I lived, around 60 miles north of Gothenburg, it was almost unheard of to drive a SAAB, even though SAABs, like Volvos, were built just up the road. Funny how we associate ourselves with one marque, yet totally reject another. I've no idea what you're talking about. The Insignia looks excellent, and between it and the Corsa, they make up every other car on the road where I'm from. Happytalk73 and Deleted96908 like this. Some discussion here of the rust issue. The mid 50 vauxhall Victors were rust traps - imported Belgian Steel was the start of the rust issue but not 100% to blame - cars were not dipped at that time [ meaning internal box section surfaces were unprotected]- the steel was merely primed, undercoat and painted the finishing colour*. On top of this there were no liners under the wheel arches so mud, grit and $*** stuck in the nooks and crannies - especially at the top of the front wings, near the doors. This was true of all UK cars at the time - 3 year old cars with rust holes in wings were normal. SAAB were one of the first the first (IIRC) to introduce plastic liners to shield the metal wings from the road dirt & salt. UK builders on undersealed /treated bodies from about 1977/78 onwards. * this was blamed on General motors penny pinching but perhaps should be viewed in the context that US motorists frequently traded their cars after one/two years for the annual facelift model, so longevity wasn't an issue. I had a 1965 Vauxhall Victor 101, that was a bit of a rust bucket, had a couple of Mk1 Cavaliers later, they were good cars. What I don't understand is why Vauxhall have started an advertising campaign based on the fact they are British. I never saw them as British - always a part of General Motors, but now they've been bought by Peugeot, they've replaced senior managers with Peugeot people, and they're talking about shared platforms for all PSA products. Not my idea of British. Central South Coast of England. 2000 W220 S500. 366U AZURITE BLUE. 264A LEATHER SAFFRON. SHELL MODIFICATION FOR AMG-WHEELS. 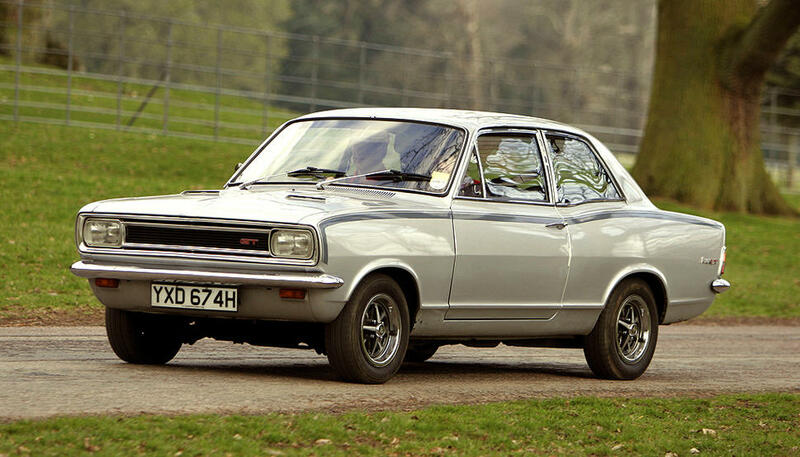 And the other one was the Viva GT in the early 70's. I really loved that car! Hey, I was only in my mid-teens! But it was a great car for the day! It had a canted over 2 litre motor that had quite a bit of go in it as I remember.... I wouldn't mind a pristine one even now! We were a Ford family. bes1110 and Chugg like this. RonFleet, Chugg and stwat like this. Yup. My two Omegas were both made in Rüsselsheim. After some considerable persuasion the old boy realised that he could afford BMW, he could have bought MB but thought that they were for spivs.